Cantor Todd Kipnis has been a cantor at Shaaray Tefila since 2007, after having served as an intern the previous year. He received a Masters of Sacred Music and was ordained as cantor from the Debbie Friedman-School of Sacred Music, Hebrew Union College-Jewish Institute of Religion in New York in 2007. 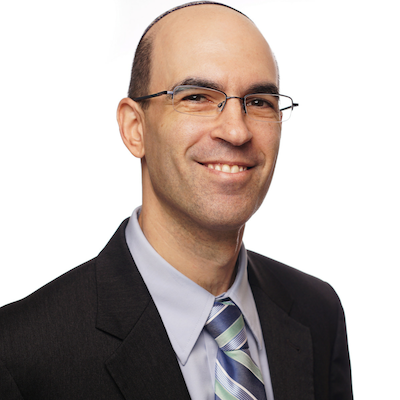 Cantor Kipnis has served on the Executive board of the American Conference of Cantors since 2013. He was selected to participate in a special cantorial concert at the Vatican as part of an interfaith relations program in 2010, has been featured on Transcontinental Music’s recordings of Seder Songs and Shabbat Anthology VI, and will be featured on the recording of Shabbat Anthology IX. Cantor Kipnis grew up in Long Island, NY and received a Bachelor of Music degree in voice performance from Ithaca College. Upon graduating from Ithaca, he pursued a career in opera performance and received a Master of Music degree in opera from Binghamton University in conjunction with the Tri-Cities Opera Company. He performed numerous leading and supporting roles with the Tri-Cities Opera and also performed with Central City Opera and Lyric Opera of Cleveland. He continues to perform in concerts both at Shaaray Tefila and other synagogues. While in Binghamton, Cantor Kipnis was a cantorial soloist at Temple Concord, which helped inspire him to pursue the cantorate. He loves opera, musical theatre and 80s music, and is a huge Mets fan. He had a dream come true when he had the opportunity to sing the National Anthem at a Mets game at Citi Field in August 2016. Cantor Kipnis and his wife, Becky, have a son and daughter.